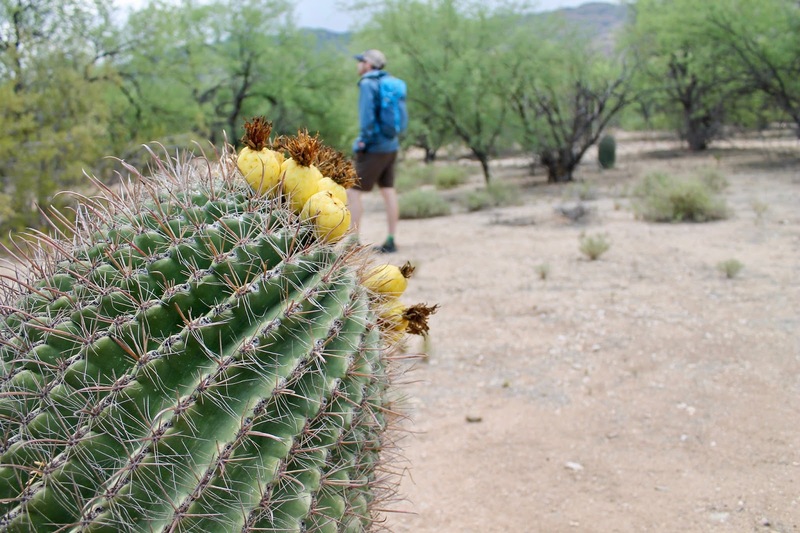 We are going to squeeze in microadventures throughout our summer speaking tour and it started last weekend when we explored Saguaro National Park in Arizona. 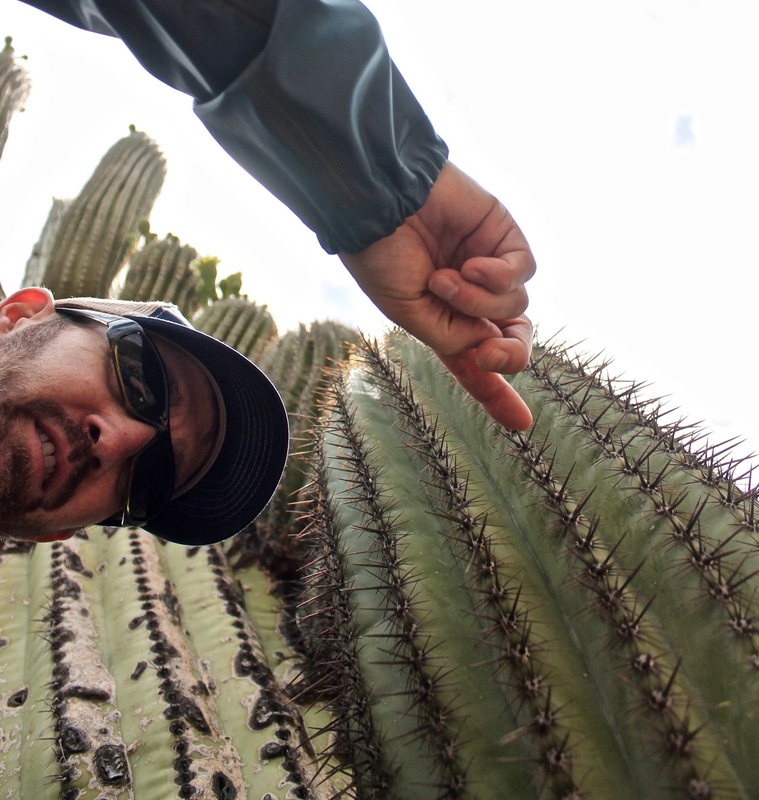 In all our years living in Phoenix, we never ventured down to Tucson to explore Saguaro NP for some reason. We drove north to the Grand Canyon a million times, but south? Nope. Nada. Must have been the Arizona heat that blurred our minds. 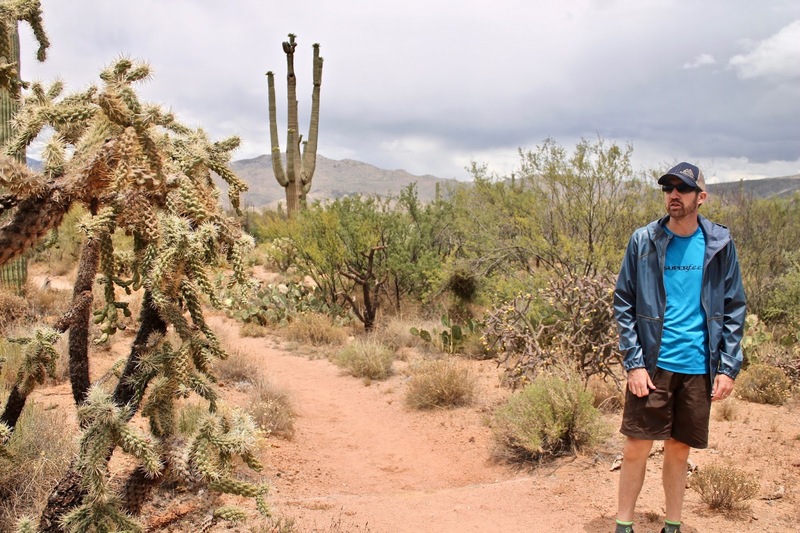 In any case, we only had time for 1/2 day adventure in Saguaro NP while we were in AZ. Immediate conclusion: a 1/2 day is NOT enough time at all. 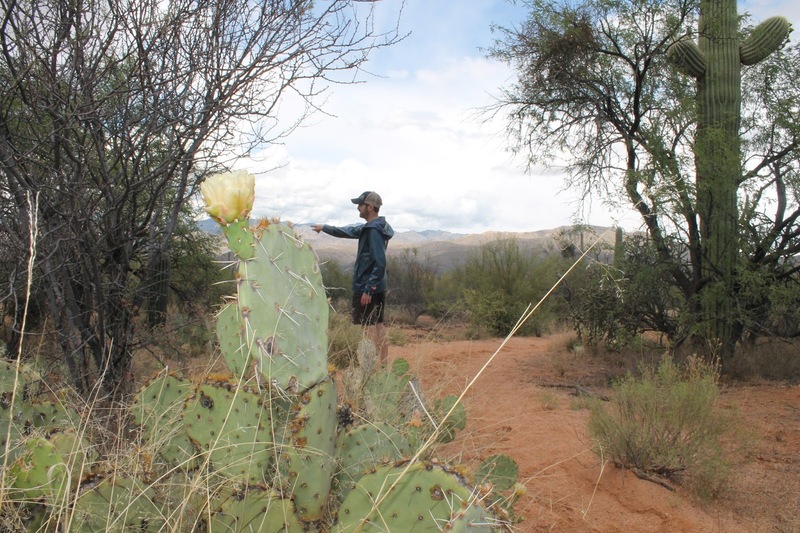 Saguaro NP is broken into 2 park units (East & West), which are about an hour from each other. We spent our 1/2 day in the East unit, mostly on the Loma Verde trail for about 6 miles. 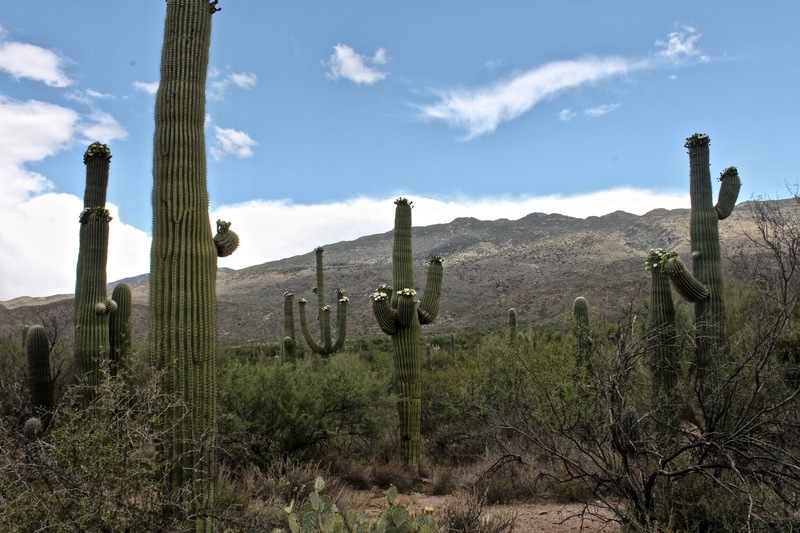 Saguaro NP is known for its ... saguaros. 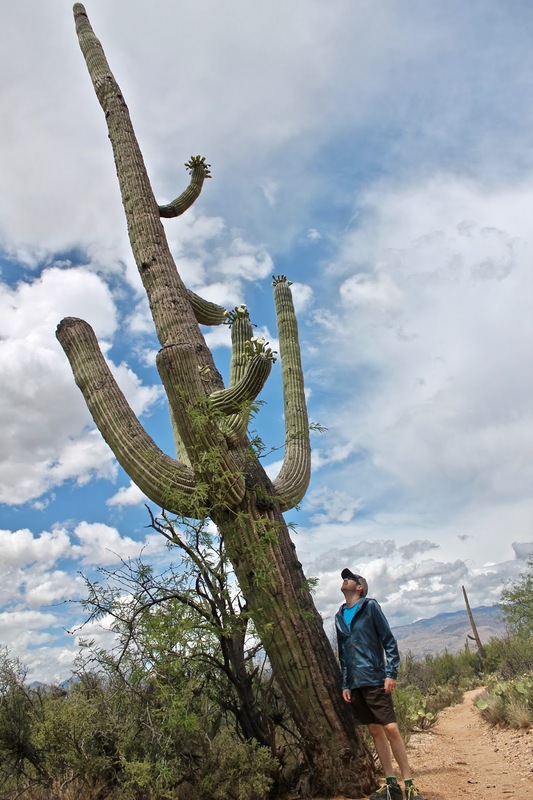 These are the giant cacti only found in the Sonoran Desert. Saguaro cacti grow very slowly (like 1 inch per year, if that), but they can grow up to 50 feet by the ripe old age of 150 years! 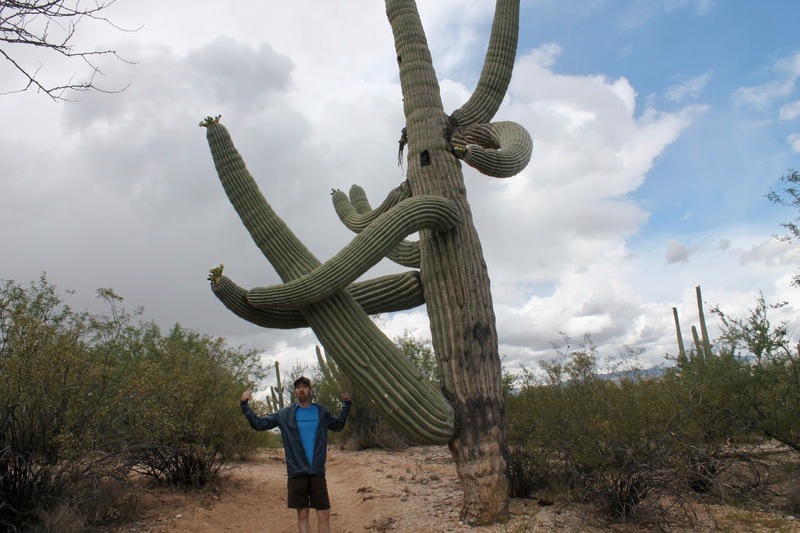 The saguaros bend and twist in crazy contortions. We visited the park on a rare rainy day ... as the area receives less than 12 inches of rain annually!! But, I will take rain for hiking over excessive heat any day. I swear the rain made the landscape feel more alive. 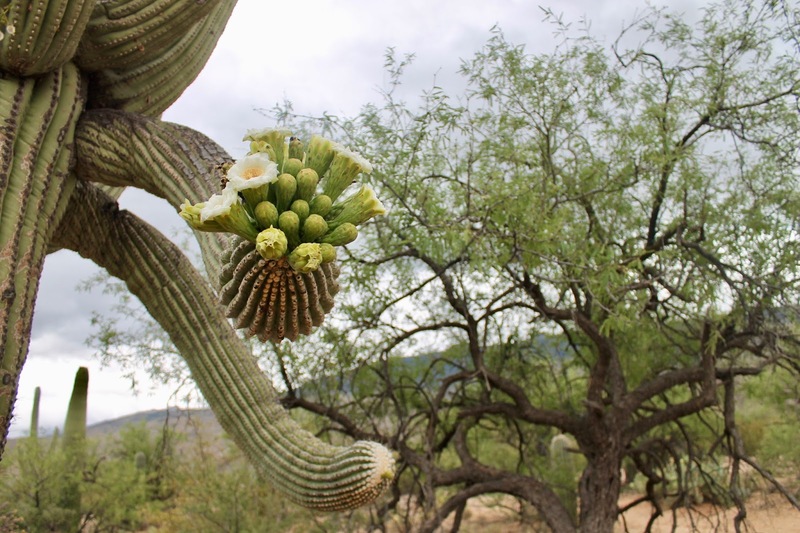 The creamy white saguaro flowers typically bloom after sunset during the coolness of the night, then wilt during the day. They seemed in full bloom for us. 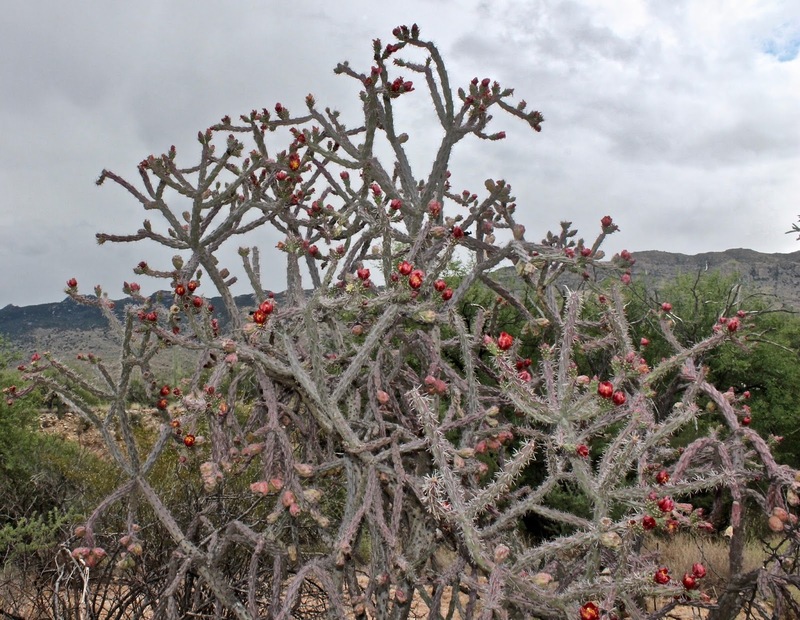 Besides saguaros, there are 24 other species of cacti!! We saw at least 5 types we could identify. 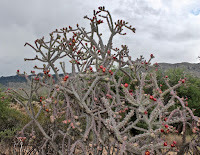 We will most certainly have to return to Saguaro NP, but it was enough to give us a nice taste of its wonders.